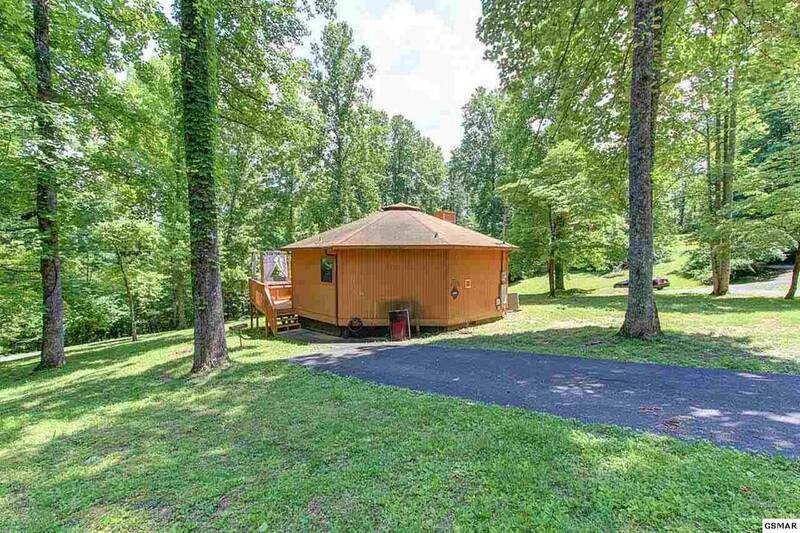 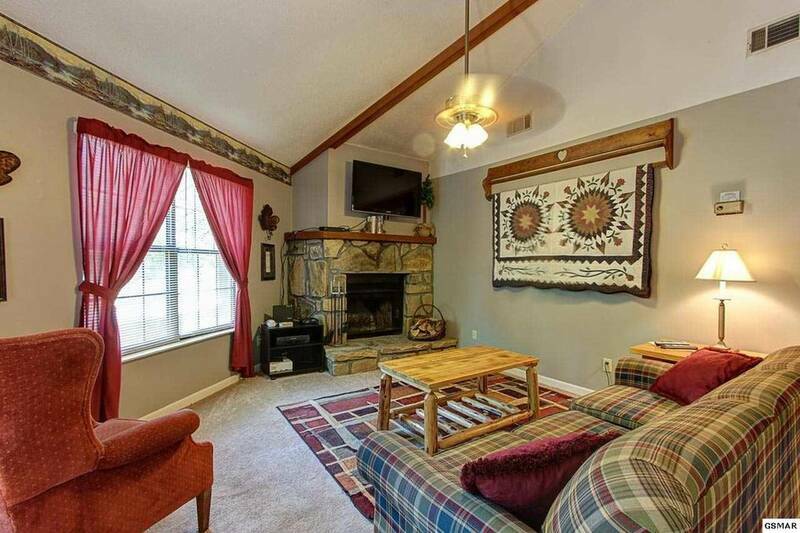 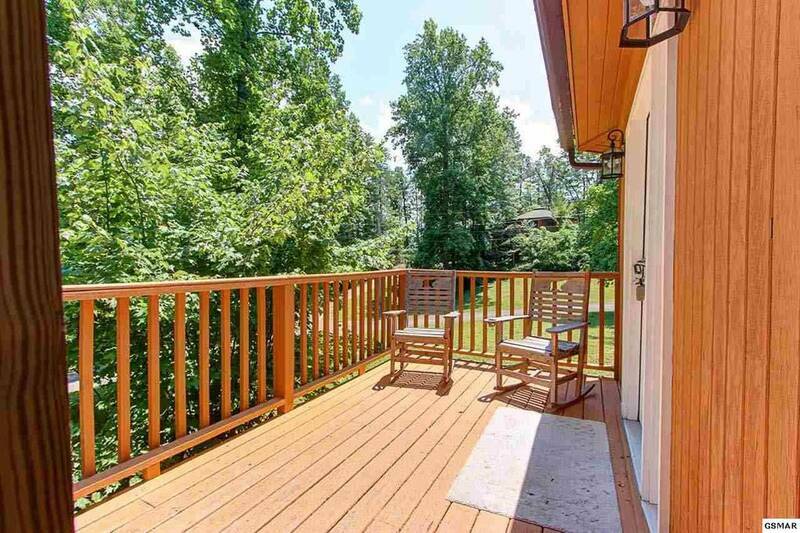 Make your Smokies getaway in this cozy roundette in Condo Villas. 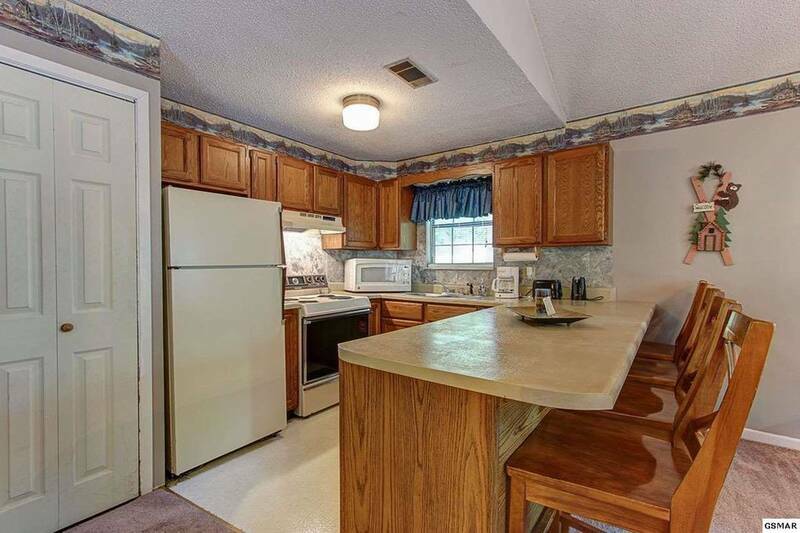 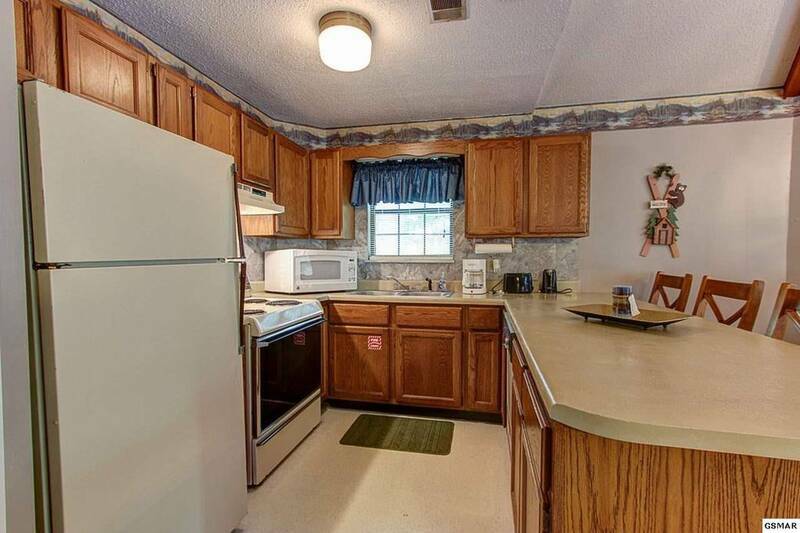 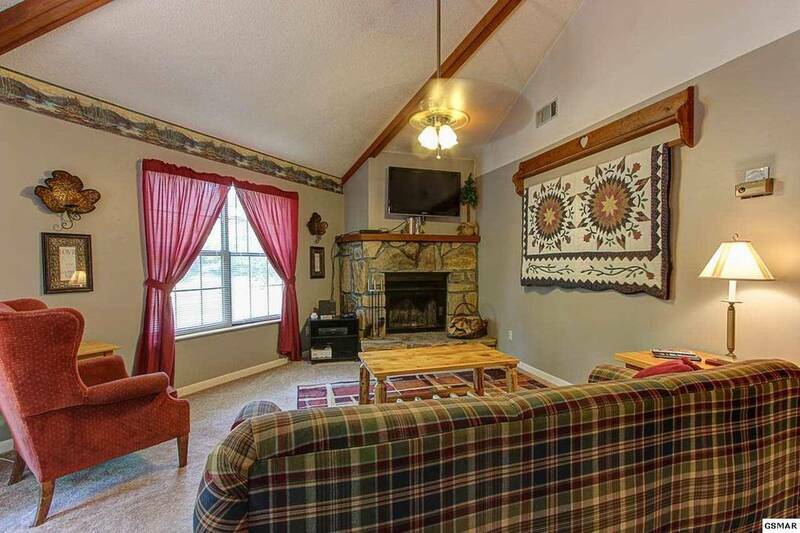 The home features a great room with vaulted ceilings, woodburning fireplace, sleeper sofa, dining area, and a kitchen with breakfast bar and closet stack washer/dryer. 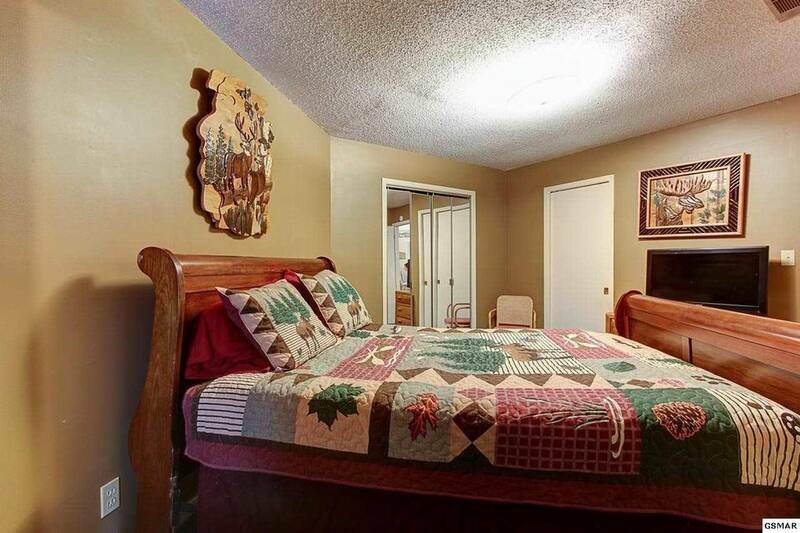 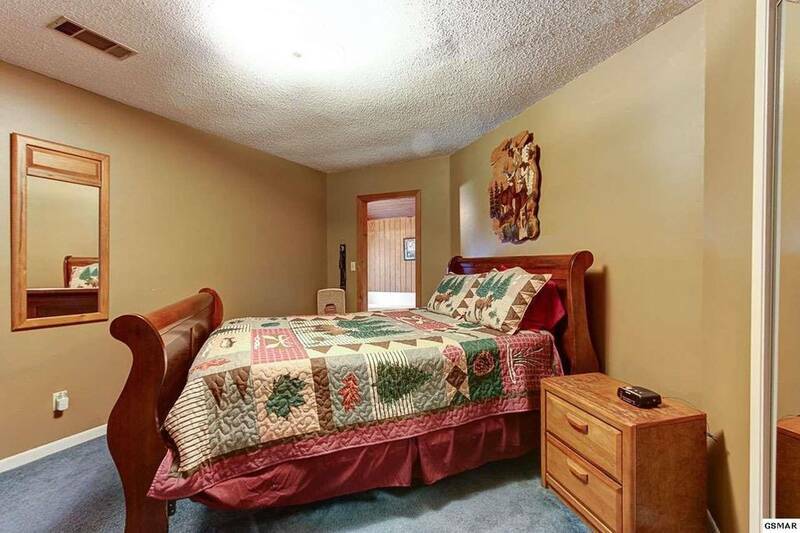 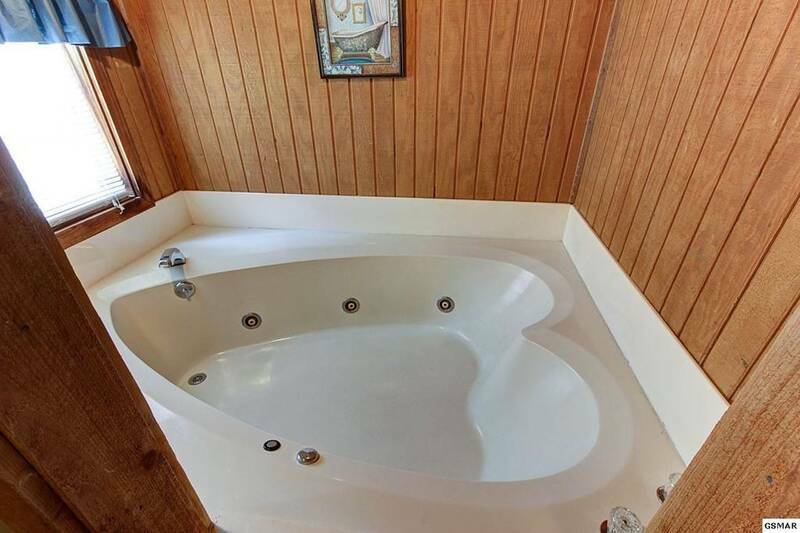 The bedroom features a beautiful sleigh bed, and has a private whirlpool nook with a heart-shaped tub. 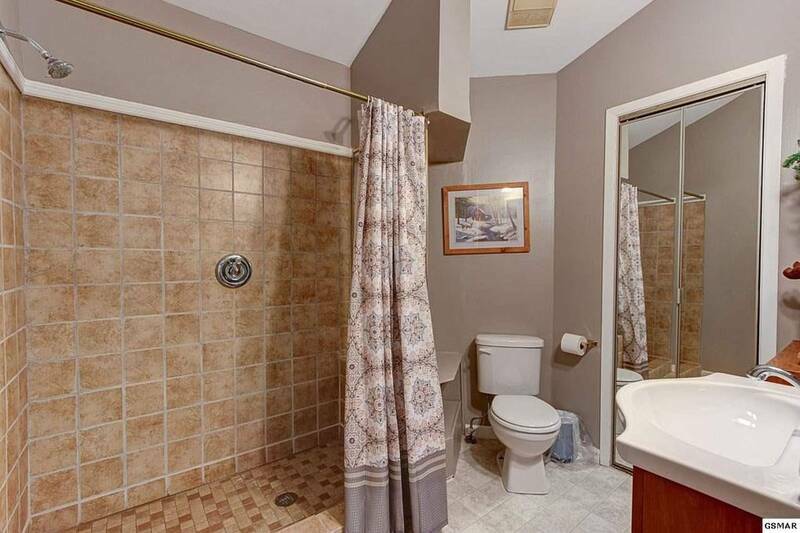 The bath features a custom tile 2-head shower and fashion vanity. 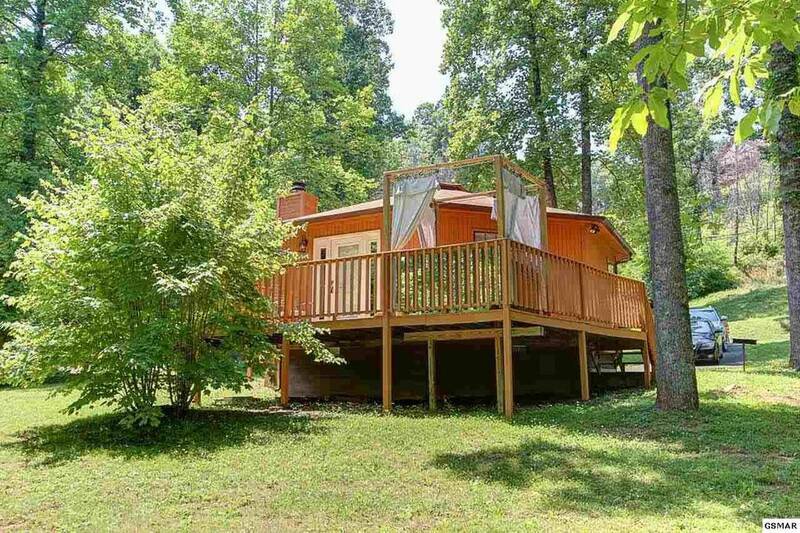 Outside the deck has room to sit and enjoy the peaceful wooded setting, or soak in the hot tub with its romantic canopy surround. 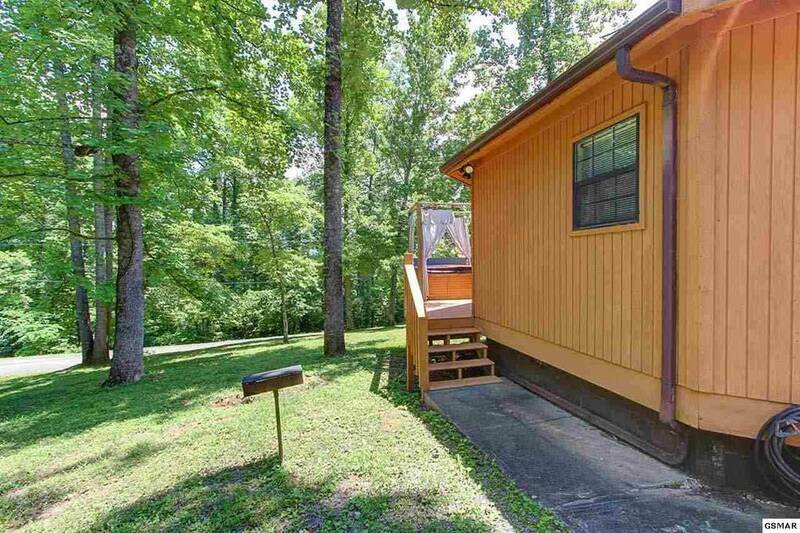 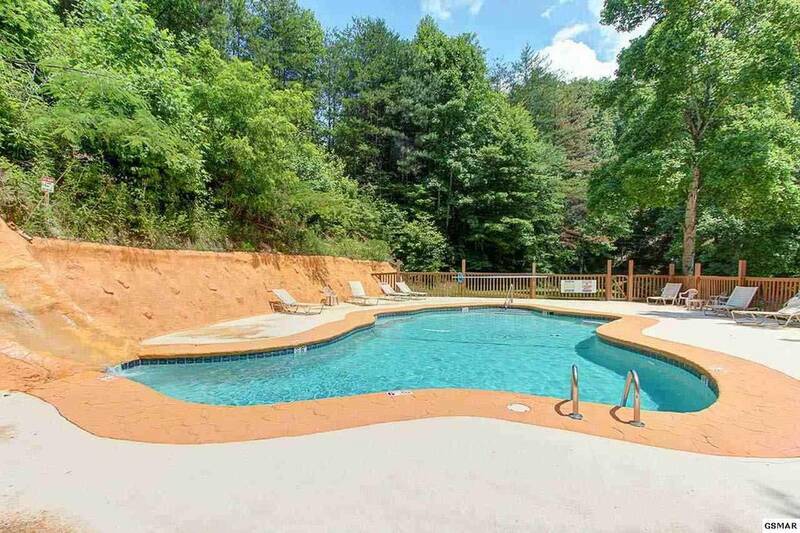 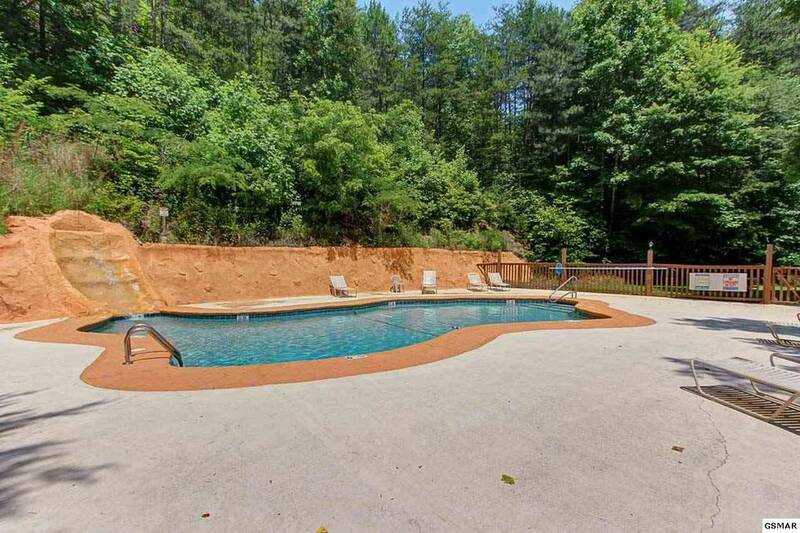 The community offers a clubhouse and pool, and is only 10 minutes to downtown Gatlinburg. 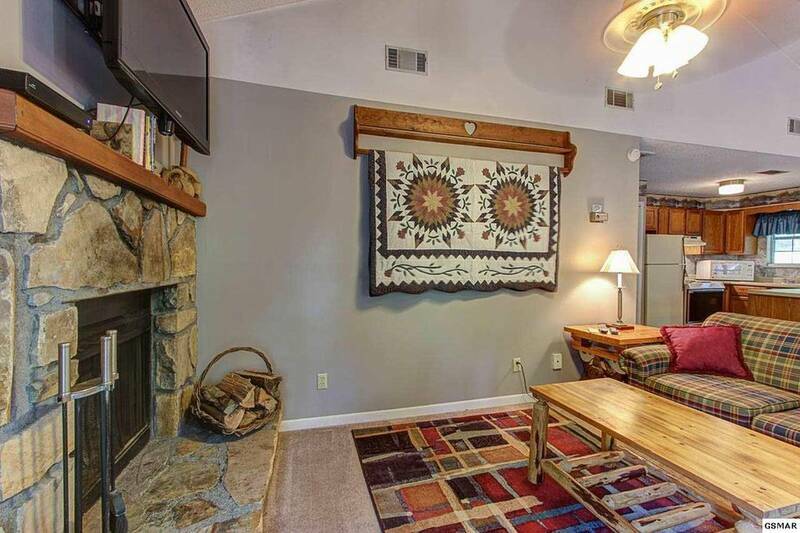 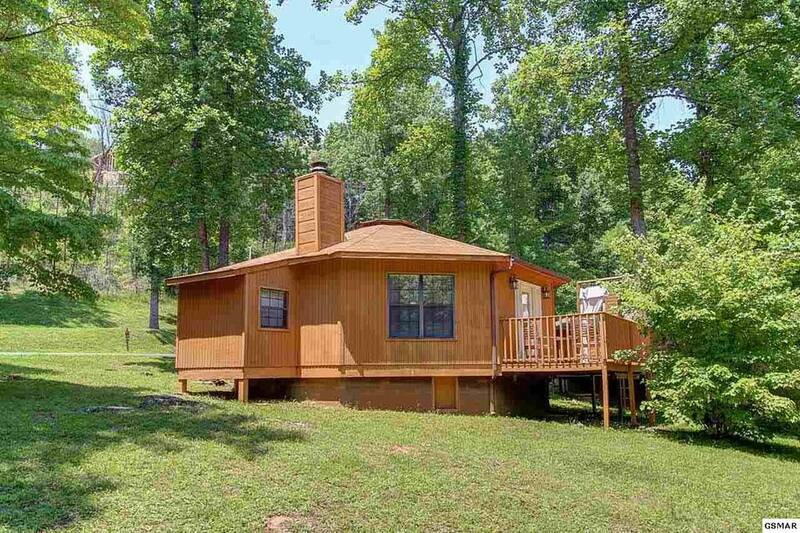 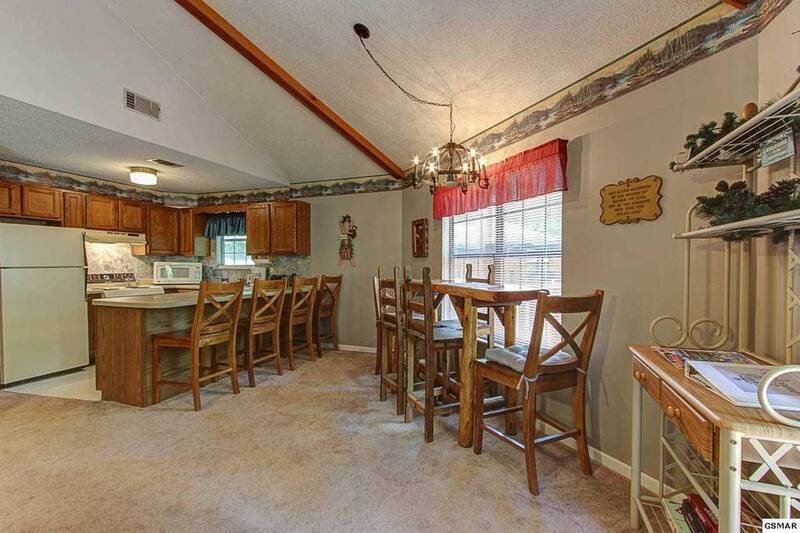 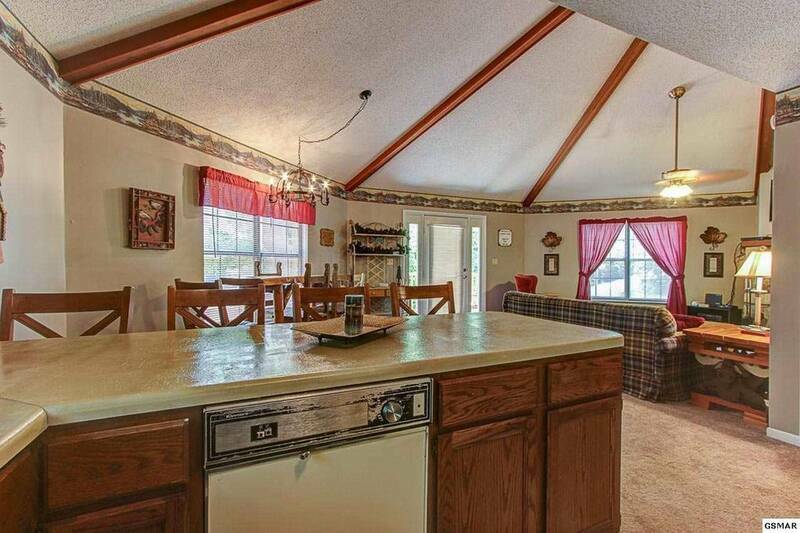 This is an ideal vacation home or rental - schedule a visit soon, and get away to the Smokies! 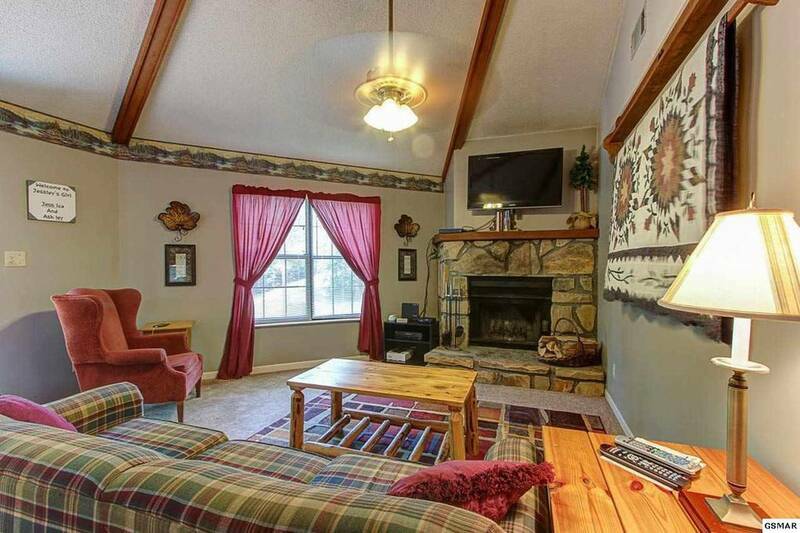 We had a relaxing getaway. 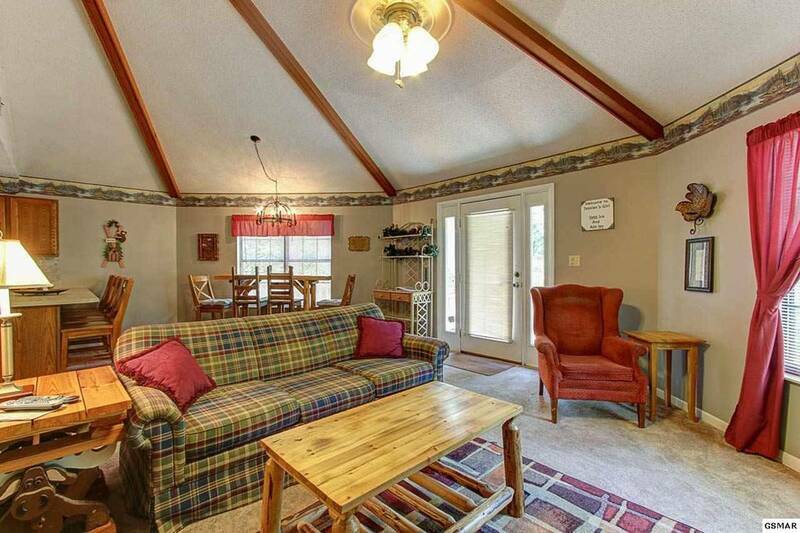 Heartland Cabin Rentals is very easy to work with and their rental process is great. 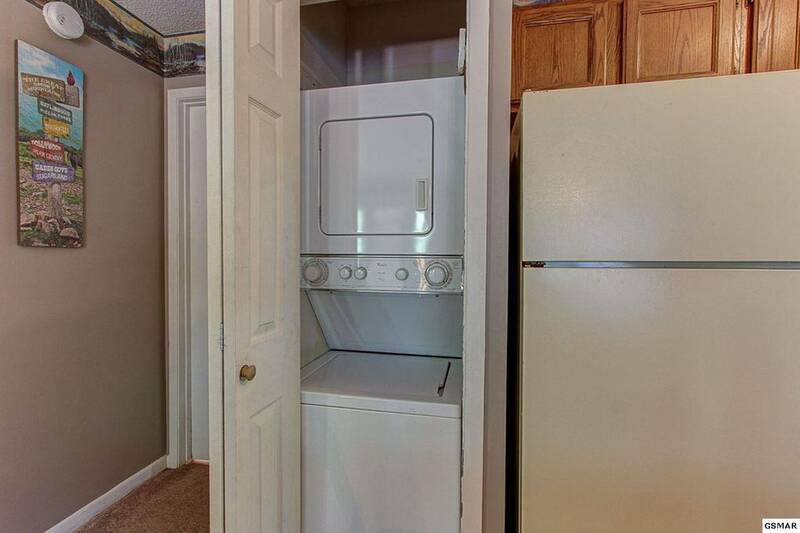 We will definitely use them again. 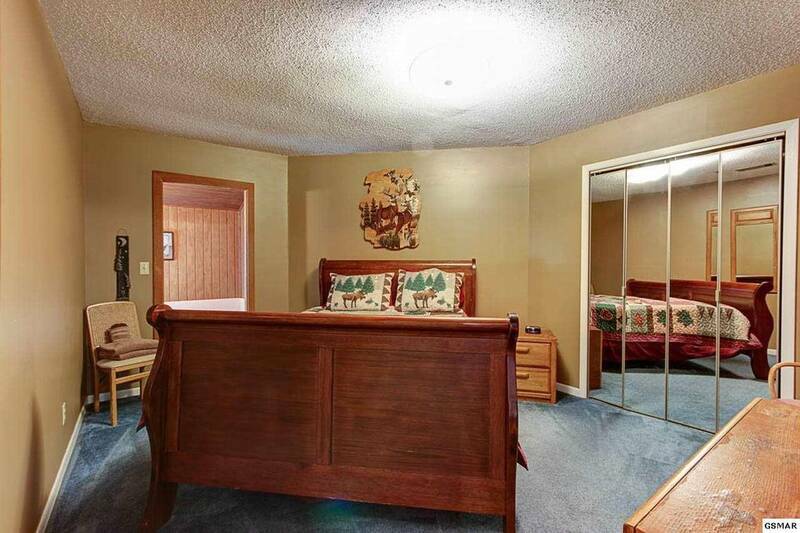 The cabin was so clean and had everything that we wanted. 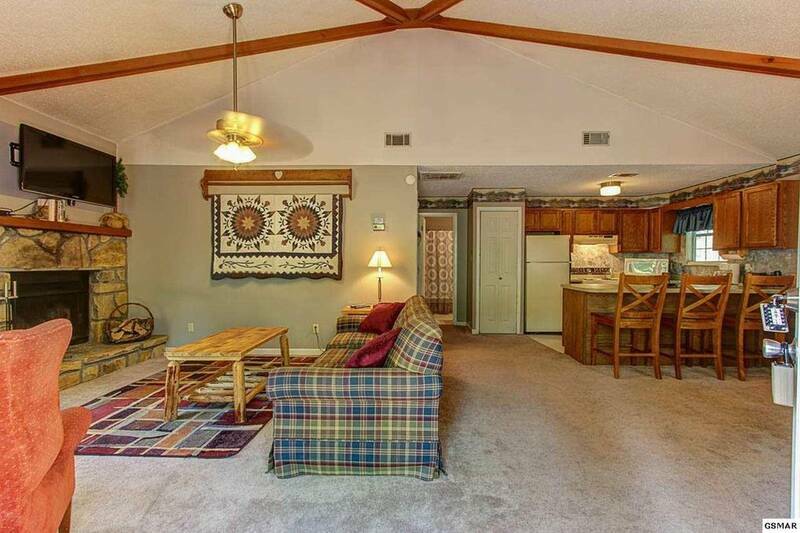 It was a perfect little weekend get away, and it wasn’t that expensive either. 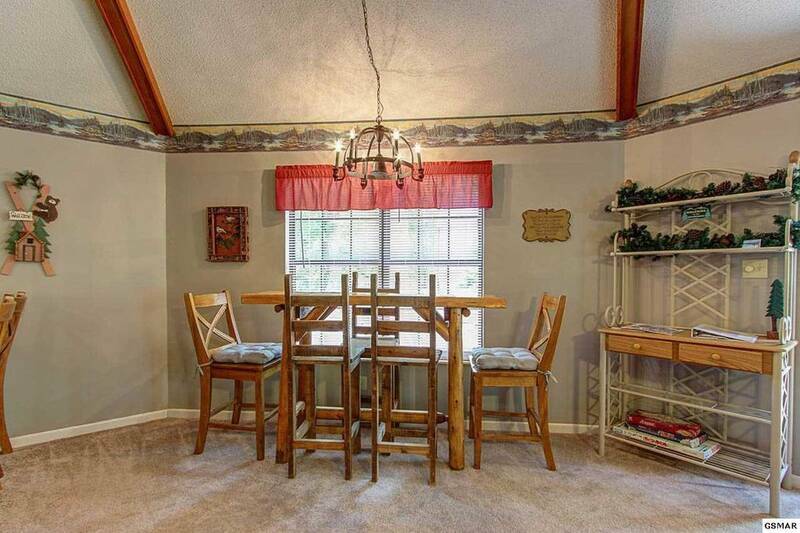 Everyone was so nice and answered all of our questions that we had.